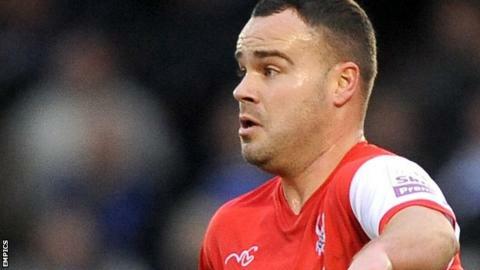 Substitute Lee Fowler fired home the winner on his debut as relegation-threatened Crawley beat play-off chasing Preston. Anthony Wordsworth put the hosts ahead on his home debut when he bundled in Lewis Young's cross from close range. Paul Huntington brought Preston level after the interval when he headed Paul Gallagher's corner in at the near post. But Fowler gave Crawley their first win in 16 games in all competitions when he volleyed home from long range late on. The win moved Crawley up to 22nd place, while Preston remained fourth in the League One table. "I've seen that we have been getting better and better, and it's a good win for us. "We had lots of other chances as well, and I thought it's not going to be our day. But all in all, its just the three points we needed and hopefully it gives the players confidence. "I think we just played them at the right time as well, they've hit a bit of a bad patch, and didn't look as confident as they normally do in front of goal." Match ends, Crawley Town 2, Preston North End 1. Second Half ends, Crawley Town 2, Preston North End 1. Foul by Calum Woods (Preston North End). Gwion Edwards (Crawley Town) wins a free kick in the defensive half. Goal! Crawley Town 2, Preston North End 1. Lee Fowler (Crawley Town) right footed shot from outside the box to the bottom right corner. Corner, Crawley Town. Conceded by Calum Woods. Substitution, Preston North End. Kevin Davies replaces David Buchanan. Foul by Paul Gallagher (Preston North End). Marvin Elliott (Crawley Town) wins a free kick on the left wing. Lanre Oyebanjo (Crawley Town) hits the bar with a left footed shot from the right side of the box. Attempt missed. Chris Humphrey (Preston North End) left footed shot from the right side of the box misses to the right. Corner, Preston North End. Conceded by Joe Walsh. Substitution, Crawley Town. Bobson Bawling replaces Lewis Young. Substitution, Crawley Town. Lee Fowler replaces Jimmy Smith. Substitution, Preston North End. Chris Humphrey replaces Josh Brownhill. Corner, Crawley Town. Conceded by Sam Johnstone. Attempt saved. Jimmy Smith (Crawley Town) left footed shot from outside the box is saved in the top right corner. Calum Woods (Preston North End) is shown the yellow card. Ryan Dickson (Crawley Town) wins a free kick in the defensive half. Foul by Josh Brownhill (Preston North End). Jimmy Smith (Crawley Town) wins a free kick in the attacking half. Attempt missed. Marvin Elliott (Crawley Town) right footed shot from outside the box is just a bit too high. Jimmy Smith (Crawley Town) is shown the yellow card. Hand ball by Jimmy Smith (Crawley Town). Kyel Reid (Preston North End) wins a free kick in the attacking half. Foul by Lewis Young (Crawley Town). Goal! Crawley Town 1, Preston North End 1. Paul Huntington (Preston North End) header from the left side of the six yard box to the top left corner. Assisted by Paul Gallagher with a cross following a corner. Corner, Preston North End. Conceded by Jimmy Smith. Foul by Sylvain Ebanks-Blake (Preston North End). Ryan Dickson (Crawley Town) wins a free kick in the attacking half. Corner, Preston North End. Conceded by Marvin Elliott. Attempt blocked. Paul Gallagher (Preston North End) right footed shot from outside the box is blocked. Jimmy Smith (Crawley Town) wins a free kick in the defensive half. Attempt missed. Paul Huntington (Preston North End) header from the centre of the box misses to the left following a corner. Corner, Preston North End. Conceded by Lewis Price. Attempt saved. Paul Huntington (Preston North End) header from the left side of the six yard box is saved in the top centre of the goal. Corner, Preston North End. Conceded by Darren Ward. Second Half begins Crawley Town 1, Preston North End 0.